The Australian Cycling Promotion Foundation is a charity registered with the Australian Charities and Not-for-profits Commission, effective 1 December 2017 (ACNC 75 618 071 855). The Foundation commenced operations on 1 July 2017, assuming all staff, operations and programs of the Cycling Promotion Fund (CPF). In 2018 it progressively adopted the operating name We Ride Australia to provide a more active, inclusive and descriptive identity to drive its national advocacy programs and agenda. As an independent not-for-profit charitable foundation, We Ride Australia builds on the nearly 20 years of federal advocacy of the CPF, with an appropriate and transparent governance structure that adheres to industry best-practice principles. The result is a truly independent voice for federal advocacy for the choice to ride a bike in this country. Read the Australian Cycling Promotion Foundation Limited Constitution. Past annual reports for the Cycling Promotion Fund are linked below. 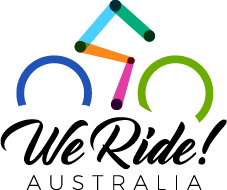 We Ride Australia will report from the 2017–18 financial year.